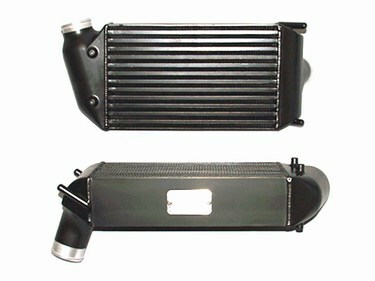 Drive your Porsche 996TT harder while keeping the engine cooler for maximum HP with this Fabspeed Clubsport Intercooler! These intercoolers will allow your 996TT to make boost faster and increase power and consistency for power on tap, pull after pull! The stock intercooler on your Porsche 996TT/X50/GT2 is far too small and inefficient to effectively cool your twin turbo engine. 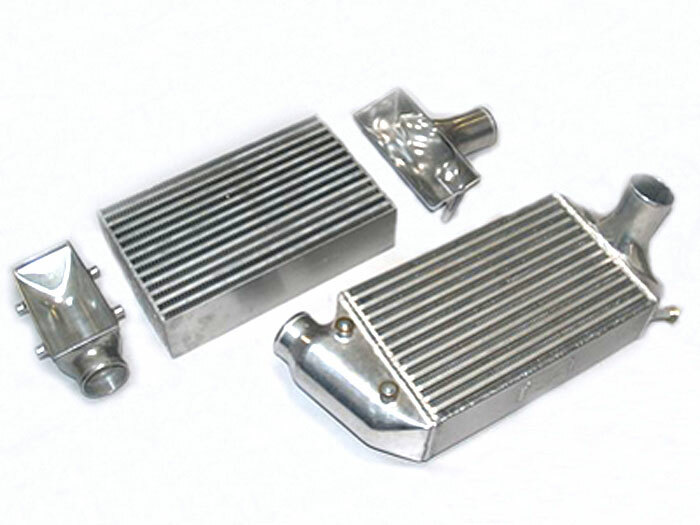 Fabspeed has designed these intercoolers to have a larger surface area and larger inlets/outlets, for maximum cooling abilities. This means the engine will be able to run at a cooler temperature even when pushing your engine to the limits. It is great for tracking your Porsche 996TT or even if you live in a hot area. This Fabspeed Porsche 996TT Intercooler in constructed out of 3-D CAD design cast aluminum with CNC machined end tanks, giving your 996TT maximum airflow and efficiency. With 25% larger cores, 36-49% higher flow rate, and inlet end tank has approximately 200% more volume, and outlet end tank has approximately 60% more volume there is no doubt this intercooler will out perform whatever your 996TT engine can put out. Fits all 996TT/X50/GT2 Vehicles 1998-2005. 33% larger core than the OEM GT2 intercooler core. Flows 36-49% more air than OEM 996TT/GT2 intercoolers. Direct replacement for the OEM intercoolers. Extremely efficient closely stacked bar and plate type core design. Reduced pressure drop while maximizing heat dissipation. 3-D CAD designed cast aluminun/CNC machined end tanks offer a perfect OEM fit while maximizing flow and efficiency. Inlet end tank has approximately 200% more volume. Outlet end tank has approximately 60% more volume.